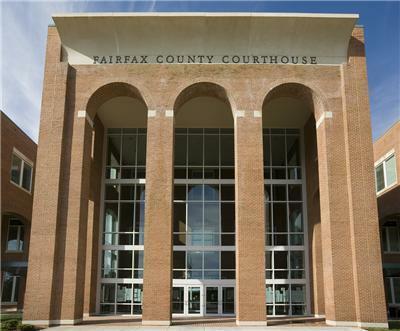 The seven Anglican churches who are being sued by both The Episcopal Church and the Episcopal Diocese of Virginia will present opening arguments today in the Fairfax County Circuit Court. Six weeks have been allotted for trial. Judge Randy Bellows, who presided over the earlier 57-9 proceedings, will preside. UPDATE: Opening arguments did go forward today - no major surprises. On the stand tomorrow: The Rt. Rev'd David Jones, Bishop Suffragan of the Episcopal Diocese of Virginia. Bishop Jones was once the overseer of church planting in the Diocese of Virginia. After the 2006 vote to separate by 15 churches in the diocese, the bottom dropped out of the church planting budget. The chair of the diocesan Church Planting Committee was among those who eventually moved to the ACNA. FAIRFAX, Va. (AP) — A years-long dispute between the Episcopal Church and several breakaway congregations over homosexuality and important tenets of Christian doctrine was back in a Virginia courtroom on Monday, where the fight will likely be decided on mundane aspects of real estate and contract law. A Fairfax County judge heard opening statements in the case between the denomination and seven dissident congregations, who voted nearly five years ago to leave the Episcopal Church and realign as conservative branch of the worldwide Anglican church. The move was precipitated by the 2003 consecration of an openly gay bishop from New Hampshire. However, it also involved fundamental differences on Scriptural matters, including what some conservatives say is equivocation from Episcopal leadership on the divinity of Christ. The Episcopal Church and its diocese in Virginia sued to gain control of property held by the breakaway congregations, which includes some of the denomination's most prominent and historic churches. Truro Church in Fairfax and The Falls Church — for which the city of Falls Church is named — trace their roots back to Colonial times, when George Washington served as a vestryman. In 2008, Fairfax County Circuit Judge Randy Bellows ruled in favor of the breakaway congregations under a rarely used Virginia law dating to the Civil War governing the breakup of churches. But the Virginia Supreme Court overturned Bellows' ruling and told him to decide the case "under principles of real property and contract law." On Monday, more than a dozen lawyers representing various parties in the dispute returned to Bellows' courtroom for opening statements in what is expected to be a six-week bench trial. The various parties plan to introduce roughly 8,000 exhibits. Lawyers for The Episcopal Church, which has roughly 2 million members in the U.S., said the relevant contract is the one between the Episcopal Church and its congregations. Individual congregations agree to respect church hierarchy, lawyer Mary Kostel said, and the Episcopal denomination voted in 1979 that all church property held by local congregations is done so in trust for the national denomination. Congregations that don't like the rules are not free to simply leave when they disagree with church policy or doctrine, she said. "Authority in the church flows down" from the top, Kostel said. Gordon Coffee, lawyer for the seven breakaway congregations, urged the judge to look at the property deeds. All of the deeds convey ownership to trustees at the individual congregations — none grants title to the larger denomination, Coffee said. "When (denominations) want to subject property to their control, they know how to do it" on the deed itself, Coffee said. Catholic and Mormon churches, for instance, often list religious leaders like bishops on the deed, he said. Or conditions can be placed on the deed to require a congregation to adhere to church doctrine to maintain title to the property. The legal dispute has been costly for both sides. The Episcopal Diocese of Virginia has lost congregations that collectively contributed $10.4 million directly to the diocese in the 20-year period before the dispute erupted. And the breakaway congregations have spent millions of dollars in legal fees. Warren Thrasher, executive director at Truro, said the 1,200 members of that church alone have spent roughly $2 million in legal fees, raised through a legal defense fund kept separate from the rest of the church's ministry. Thrasher said that while many church members wish the dispute could be settled, they contributed more than $500,000 earlier this year for the legal defense. "We want to see this through," Thrasher said. Just as an aside, does anyone know how many mission churches the diocese has planted since the CANA departures? I seem to recall at the time that all of the existing mission plants up to that time but one left TEC for one of the other Anglican jurisdictions (of course, most had no property). Praying that His will be done. Is Bishop Jones a witness for the Diocese or for CANA? Why is it relevant (perhaps it isn't, in a legal sense) that he was the "overseer of church planting"? By the way, I saw in the ADV/CANA press release that the departing groups had paid for the churches they are occupying. I guess this means that a settlement has been reached and that the six week trial won't happen. Pray for the CANA ADV churches that God's will be done and soon you can be freed from this distraction to pursue reaching the world for Christ. As a member of an Endowment Fund that supported Episcopal church planting for nearly a decade, I find it disheartening and disingenuous that thesenchurches now claim to have been the "sole" source of funds to establish their churches. Without the early support of the diocese they would not exist at all. Missed you in court today BabyBlue. Thought for sure you would have been there. Bishop Jones is being called by the Diocese of Virginia. 10:58: Does that mean the answer to the question at 5:21 is zero plants? Why is that? Prayers for you all BB. 2 weeks of trial. Truro has started to present its case. Still no BabyBlue. What's going on? I would find it interesting if BB or any of her readers have had a chance to monitor the proceedings could share their impressions on the progress of the trial to date. It is unconscionable that a denomination could simply institute a trust clause in 1979 and then expect to be the owner of local congregations. This is similar to the communists comming in and taking over hard earned private property. IF a trust is created, a trust document needs to be executed by the property owner not a third party (denomination) unilaterally adopting a provision and expecting the courts to honor it. For the sake of legal integrity, please Fairfax Court, remember this is America and recognize that you can't take over what you don't own. What a waste of money for litigation when there are human needs that need to be met. What a disgrace to Christian witness to attempt to swindel local congregational property. Shame on the Diocis for adopting the playbook of Fidel Castro! The idea that this particular canon would trump the law in a most passive aggressive way may remind one that the same kind of thinking is also what spearheads the recognition of Sharia law over State Law as well. This thinking was questioned in the earlier litigation in Virginia when the judge asked why the diocese did not then order the transfer of the deeds of the local parish properties to the bishop (as the Roman Catholic Church does in compliance with Virginia law)? The response from the Diocese of Virginia was that such an action would cause an uproar in the diocese. Of course it would - the Diocese of Virginia was founded on the principles of providing a balance between the monarchical structures of the past with a robust expression of religious freedom for the future. The Episcopal bishop's office in Virginia was intentionally limited. The Episcopal Church is attempting to reclaim the very monarchical powers that were overthrown by Virginia. Virginia did not rush too fast in reforming the Episcopal Church our of the Established Church and when it did it was decades before the church began to recover and grow, thanks to the efforts of Bishops Moore and Meade who understood that limited centralized power was not only advantageous for the growth of the church, but in Virginia it was also a matter of theology. To embrace centralized hierarchical powers are historically foreign in the "low diocese" of Virginia, both structurally and theologically. The Diocese may want to ponder what a victory may mean for the long run - I attended many councils where there was amazing unity on one topic, no forced assessments of the local parishes. And when historic Pohick Church got wind that the diocese may "request" that their deeds be transferred to the bishop, historic Christ Church Alexandria also reacted so strongly that at a well-attended parish meeting, the Sr. Warden had to assure the congregation that no, they were not turning their deeds over to the bishop. Structures reflect theology and theology shapes structures. This is so important - and especially important in Virginia.